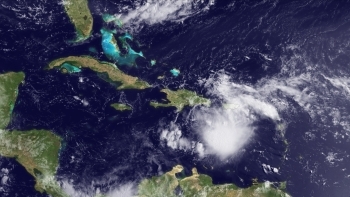 Commerce's National Oceanic and Atmosphere Administration (NOAA) issued its updated Atlantic hurricane season outlook today saying the season is shaping up to be above normal with the possibility that it could be very active. The season has already produced four named storms, with the peak of the season–mid-August through October–yet to come. In its 2013 Atlantic hurricane season outlook issued today, NOAA’s Climate Prediction Center is forecasting an active or extremely active season this year. 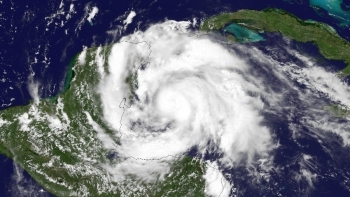 For the six-month hurricane season, which begins June 1, NOAA’s Atlantic Hurricane Season Outlook says there is a 70 percent likelihood of 13 to 20 named storms (winds of 39 mph or higher), of which 7 to 11 could become hurricanes (winds of 74 mph or higher), including 3 to 6 major hurricanes (Category 3, 4 or 5; winds of 111 mph or higher). These ranges are well above the seasonal average of 12 named storms, 6 hurricanes and 3 major hurricanes. NOAA’s Climate Prediction Center announced that a below-normal hurricane season is most likely for the Eastern Pacific this year. The outlook calls for a 55 percent probability of a below-normal season, a 35 percent probability of a near-normal season and a 10 percent probability of an above-normal season. Seasonal hurricane forecasters are calling for a 70 percent chance of 11 to 16 named storms, which includes 5 to 8 hurricanes, of which 1 to 4 are expected to become major hurricanes (Category 3, 4 or 5 on the Saffir-Simpson Hurricane Wind Scale). NOAA’s Central Pacific Hurricane Center announced that climate conditions point to a below-normal season in the Central Pacific Basin this year. For 2013, the outlook calls for a 70 percent chance of a below-normal season, a 25 percent chance of a near-normal season, and a 5 percent chance of an above-normal season. 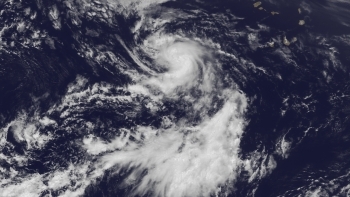 We expect 1 to 3 tropical cyclones to affect the central Pacific this season. An average season has 4 to 5 tropical cyclones, which include tropical depressions, tropical storms, and hurricanes. The outlook for a below-normal season is based upon the continuation of neutral El Niño–Southern Oscillation conditions. The Central Pacific Basin also remains on the low activity side of a multi-decadal cycle. Historical records show that this combination of conditions tends to produce a less active hurricane season for the central Pacific. Conditions in the atmosphere and the ocean favor a near-normal hurricane season in the Atlantic Basin this season, Commerce's National Oceanic and Atmospheric Administration announced last week from Miami at its Atlantic Oceanographic and Meteorological Laboratory, and home to the Hurricane Research Division. 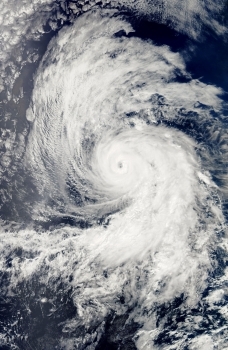 For the entire six-month season, which begins June 1, NOAA’s Climate Prediction Center says there’s a 70 percent chance of nine to 15 named storms (with top winds of 39 mph or higher), of which four to eight will strengthen to a hurricane (with top winds of 74 mph or higher) and of those one to three will become major hurricanes (with top winds of 111 mph or higher, ranking Category 3, 4 or 5). Based on the period 1981-2010, an average season produces 12 named storms with six hurricanes, including three major hurricanes. Commerce's U.S. Census Bureau produces timely local statistics that are critical to emergency planning, preparedness and recovery efforts. This edition of Facts for Features highlights the number of people living in areas that could be most affected by these dramatic acts of nature, and more. 1992: Hurricane Andrew made landfall in Florida on Aug. 24, destroying a large swath of South Florida, most notably the city of Homestead. Andrew was the second-costliest tropical cyclone in U.S history and killed 23 in the U.S. Conditions in the atmosphere and the ocean favor a near-normal hurricane season in the Atlantic Basin this season, Commerce's National Oceanic and Atmospheric Administration (NOAA) announced today from Miami at its Atlantic Oceanographic and Meteorological Laboratory, and home to the Hurricane Research Division. 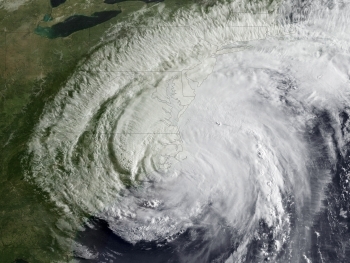 For the entire six-month season, which begins June 1, NOAA’s Climate Prediction Center says there’s a 70 percent chance of nine to 15 named storms with top winds of 39 mph or higher, of which four to eight will strengthen to a hurricane with top winds of 74 mph or higher, and of those, one to three will become major hurricanes with top winds of 111 mph or higher, ranking Category 3, 4 or 5. Based on the period 1981-2010, an average season produces 12 named storms with six hurricanes, including three major hurricanes. “NOAA’s outlook predicts a less active season compared to recent years,” said NOAA Administrator Jane Lubchenco, Ph.D. “But regardless of the outlook, it’s vital for anyone living or vacationing in hurricane-prone locations to be prepared. 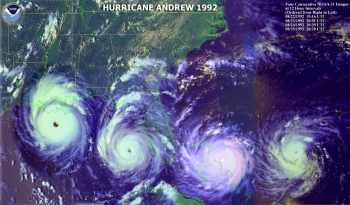 We have a stark reminder this year with the 20th anniversary of Hurricane Andrew.” Andrew, the Category 5 hurricane that devastated South Florida on August 24, 1992, was the first storm in a late-starting season that produced only six named storms. 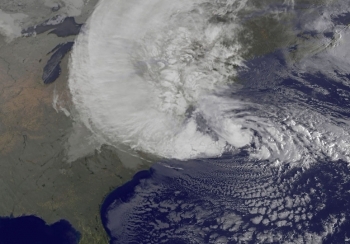 The Department of Commerce's National Oceanic and Atmospheric Administration (NOAA) issued its updated 2011 Atlantic hurricane season outlook today raising the number of expected named storms from its pre-season outlook issued in May. Forecasters also increased their confidence that 2011 will be an active Atlantic hurricane season. NOAA’s Climate Prediction Center, a division of the National Weather Service, updates its Atlantic hurricane season outlook every August. Key climate factors predicted in May continue to support an active season. These include: the tropical multi-decadal signal, which since 1995 has brought favorable ocean and atmospheric conditions, leading to more active seasons; exceptionally warm Atlantic Ocean temperatures (the third warmest on record); and the possible redevelopment of La Niña. Reduced vertical wind shear and lower air pressure across the tropical Atlantic also favor an active season. From Commerce's National Oceanic and Atmospheric Administration (NOAA): The Atlantic Basin remains on track for an active hurricane season, according to the scheduled seasonal outlook update issued today by NOAA’s Climate Prediction Center, a division of the National Weather Service. With the season’s peak just around the corner – late August through October – the need for preparedness plans is essential.